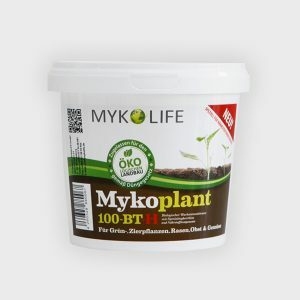 Mykolife GmbH | Mykorrhiza - Mykoplant® | Bodenhilfsstoffe, Info & Beratung Mykolife GmbH | Mykorrhiza – Mykoplant® | Bodenhilfsstoffe Info & Shop – Natürlich wachsen mit Mykorrhiza – Mykoplant®. 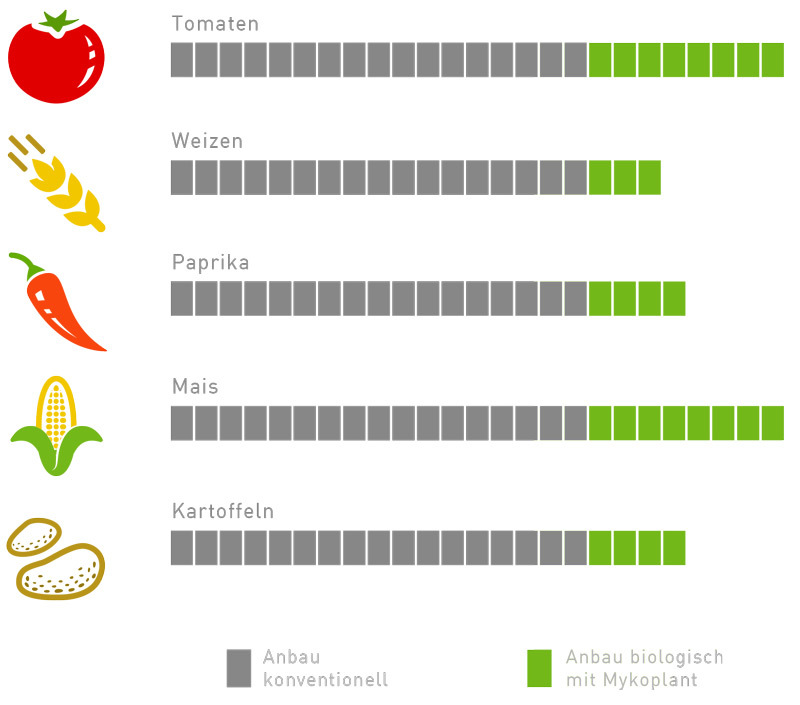 Zurück zur Natur und zu einem ökologisch gesunden Pflanzenanbau mit unseren bilogischen Mykorrhiza Produkten. 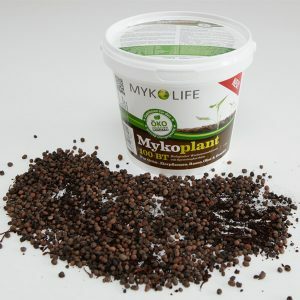 Mykolife GmbH is your innovation partner in terms of soil conditioners and plant aid agents. We offer you an experts’ opinion and our experience in research work, development, production and use of our products. Our customers from farming industry, winegrowing, gardening and agroforestry, garden and landscape architecture, and land restoration gain a large profit from our customised and highly efficient solutions. Users all over the world highly approve of advantages of our pure biological Mykoplant® 100 products. The Mykoplant® 100-products mean natural economic viability. For our customers it means growing outturn while reducing costs. 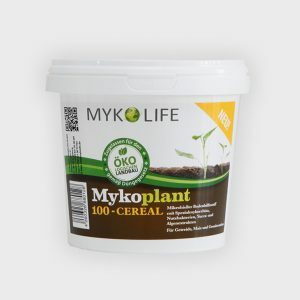 Mykoplant® 100 helps plants to help themselves! Mykoplant® 100-products are based on the symbiosis of beneficial soil fungi with plant roots – mycorrhiza. Due to this natural win-win-relation the network of plant roots extends many times over. The plants find way to the main and secondary nutrients enclosed in the soil. Mycorrhiza keeps the balance of water and nutrients of plants and positively influences it. It also activates the soil life. All these improvements stand for strong and resistant plants, which even in the most unfavorable climate produce high crops. According to the German regulation governing the usage of fertilizers our Mykoplant® 100-products belong to the group of soil conditioners. The effect of strengthening the plant dealt with here is exclusively the secondary impact resulting out of the improved supply of plants with water and nutrients. The resistance of plants, their improved immunity, especially to fungal infections, is, on one hand, the result of improved water and nutrients supply. On the other, it is due to the mycorrhizal association originating from the use of Mykoplant® 100 that plants obviously build sort of antibodies to other fungal infections too, similar to antibodies that a man’s body builds after a tetanus vaccination, for example. This fact absolutely doesn’t mean that plants that form mycorrhizal associations are basically immune against diseases. Nevertheless, plants treated with Mykoplant® 100 are rarely attacked by fungal infections. Although mycorrhiza is a fungus living within the soil, our customers using Mykoplant® 100 watch this effect also spreading on the fungal infections attacking the foliage. The positive impacts on plants’ health described here are the secondary effects of mycorrhizal associations of plants with Mykoplant® 100-products. Therefore we would like to point out that our Mykoplant® 100-products are no soil conditioners in the sense of Plant Protection Act. Sehr geehrte Kunden, unsere Mykorrhiza Produkte können Sie in den nächsten Wochen auf den verschiedensten Messen und Gartenschauen live in Augenschein nehmen. Gerne steht Ihnen hier unser Personal für..